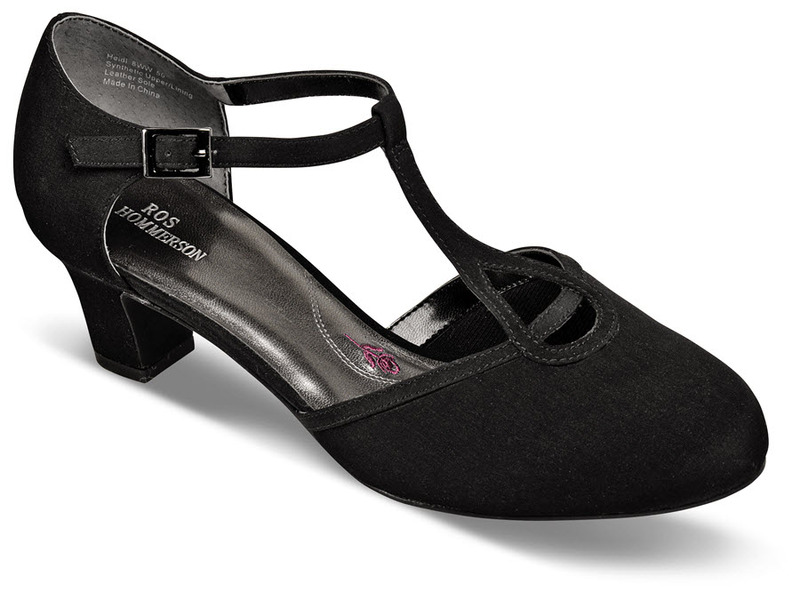 Look simply fabulous in "Heidi," Ros Hommerson’s fresh take on the classic T-strap pump. 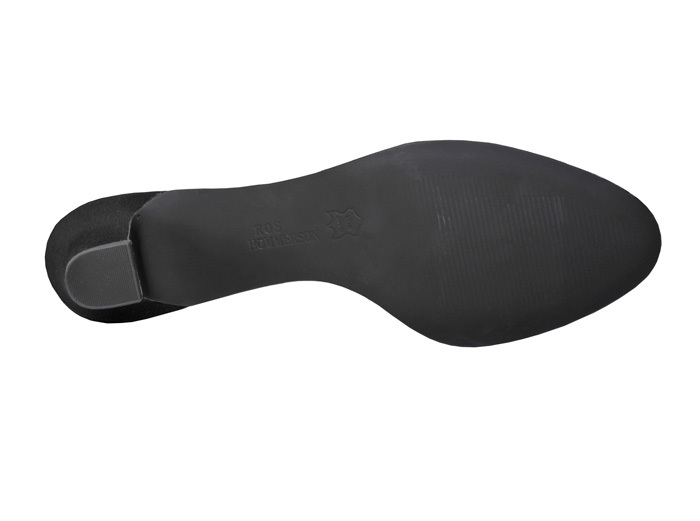 The black microtouch uppers have sleek straps and elasticized buckle fastening provide a secure fit. Toe-to-heel Memory Foam footbed for cushiony comfort. Two-inch heel. Women's sizes 6–12, 13 in 2E width.